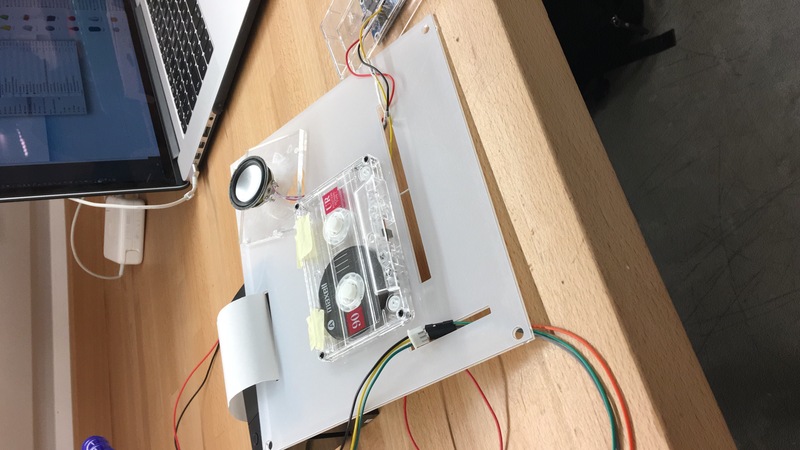 This digital artifact works as a small laboratory of electronic experiments. 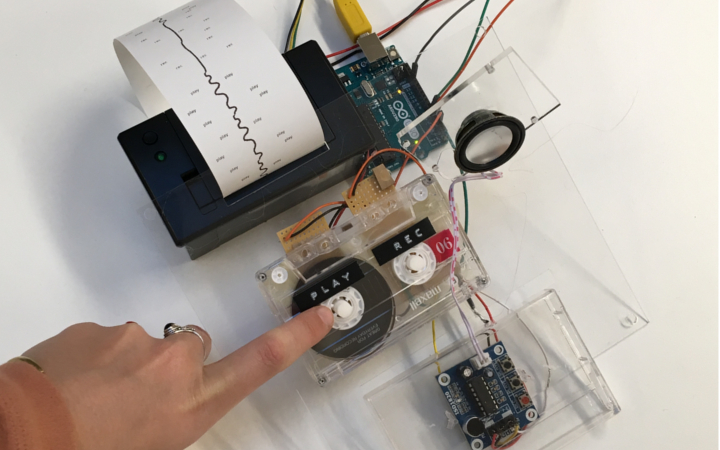 Between the idea of a sound sculpture and a printer, this work plays around processes. 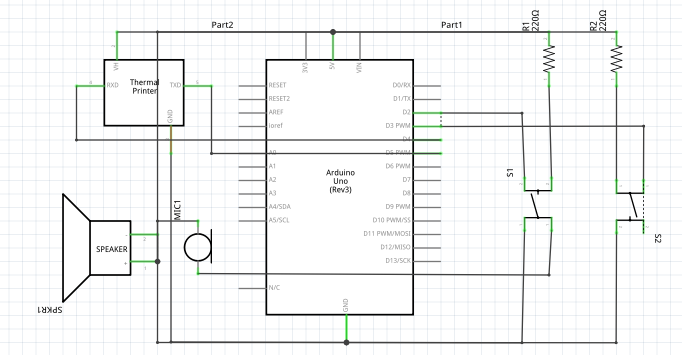 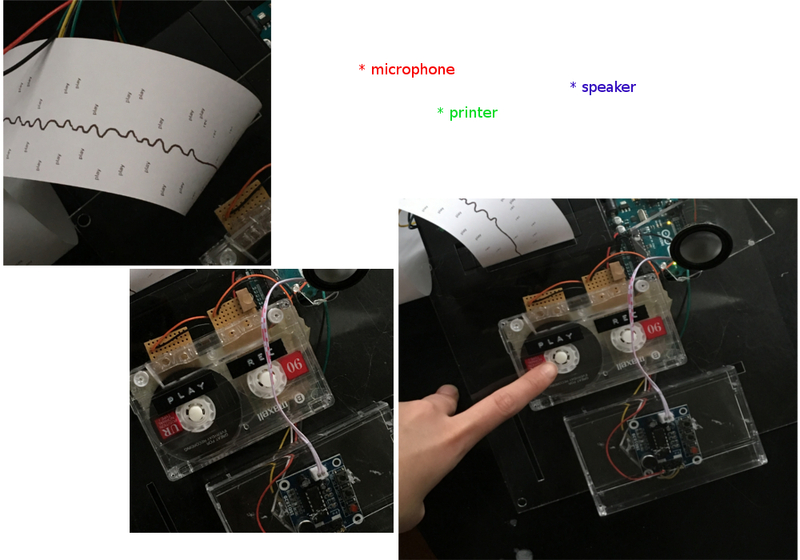 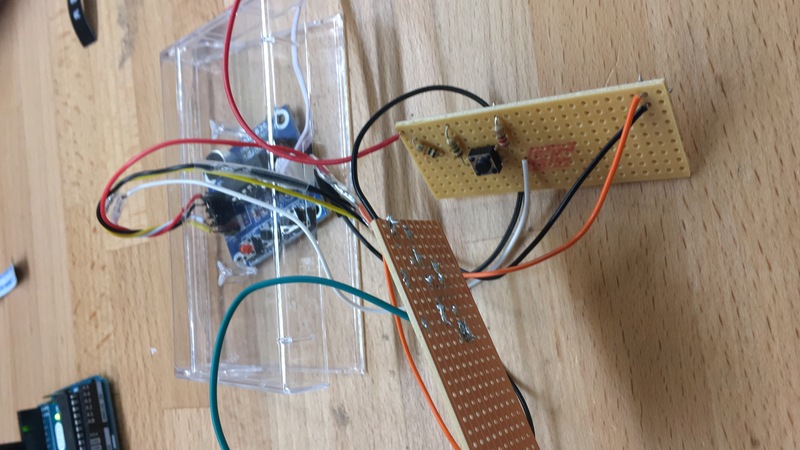 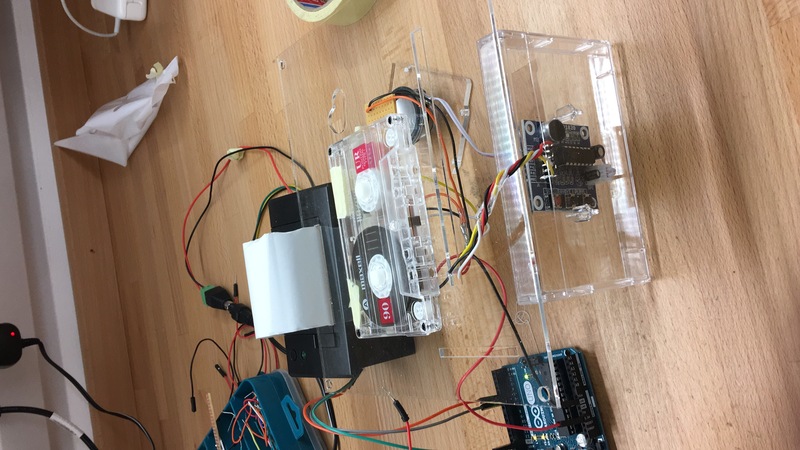 Through two different buttons the user can interact with sound, recording voice, and graphics, printing different things depending on what you are doing with the sound.